This year's 'Tent Service' in the marquee will be on Tuesday 3rd July at 2.30pm to which everyone connected with Trinity School is invited. I am also delighted to confirm that our special guest speaker will be Ian Coffey. Ian is a Baptist minister who has led churches in suburban, citycentre and international contexts. He has served as Director with the Saltmine Trust and Evangelical Alliance. He was a member of the leadership team of Spring Harvest for nine years. 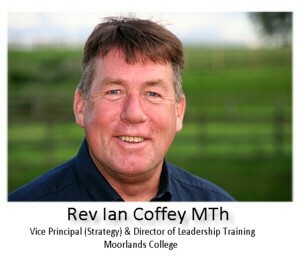 He is currently Vice Principal (Strategy), and Director of Leadership Training at Moorlands College. Ian has published fifteen books and has previously acted as a consultant to Inter-Varsity Press. His Master of Theology degree was awarded for his thesis on how churches grow.